Your chance to Win 500,000 points is here! | No Mas Coach! Home » First Class Travel Blog » Your chance to Win 500,000 points is here! Your chance to Win 500,000 points is here! It’s not very often that we promote other blogs and other their contests at NMC, but this one is pretty unique. 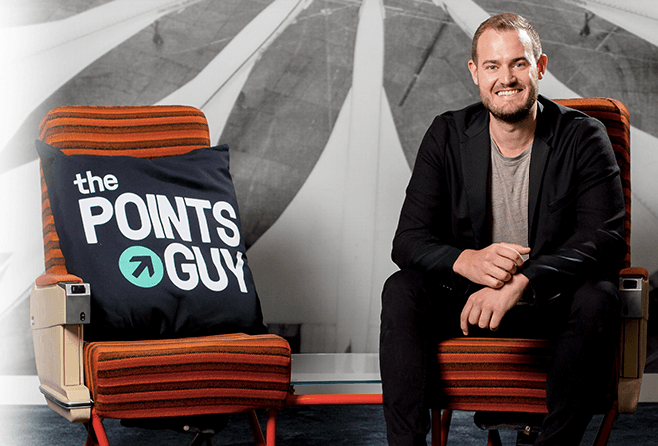 The Points Guy is running a promotion, we’ve entered to win a half of a million points, and you should too. I got an email this morning from TPG titled “It’s my Birthday, and I’m giving away 500,000 points!” Well, that got my attention and so I decided to read more. Turns out that Brian Kelly over at TPG is giving away 500,000 of his own points (250,000 American Express Membership Rewards and 250,000 Chase Ultimate Rewards) if you’ll donate to a charity of his choice. The Grand Prize is 500,000 points of which Brian will fly you out to NYC and help you plan and book the vacation all for you. He’ll use his points, and even pay for all of the taxes and fees. 500,000 points is enough to do a heck of a lot. Wanna fly in Singapore Suites? No problem. How about Emirates First? Swiss First? Some luxury hotel stays with Hyatt or Marriott? SOLD. Not that luxurious? Wanna take 20 or so round trips on Southwest, Alaska, American, or more? You can do that too. The options are limitless. We’ve already entered to win with our $10 donation, I hope you’ll do the same. Thanks to The Points Guy, Brian, for this awesome giveaway! You can donate here.